Hi friends! If you’re looking for something to do over winter break, download my new Check Before You Burn coloring pages. 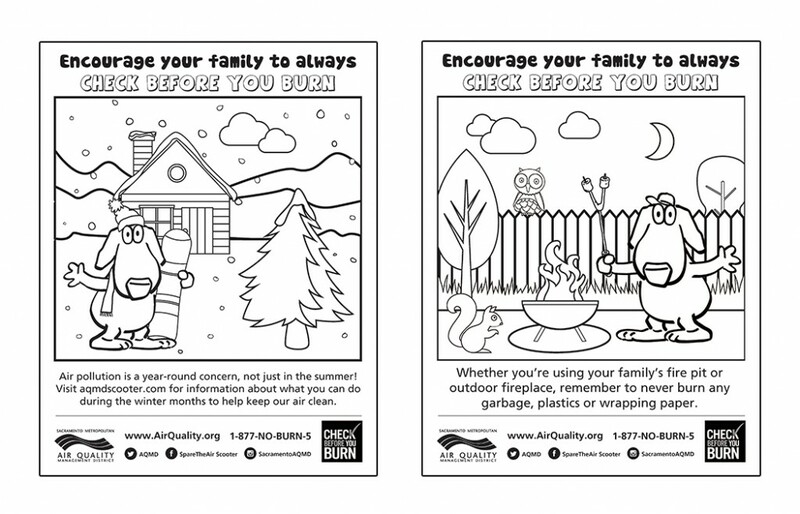 Not only are they lots of fun to color, but they have information about wintertime air pollution! Please have your mom or dad help you print some of these awesome pages, color them and then share them with me on my Facebook page— https://www.facebook.com/scooterthesparetheairdog. I’m so excited to see the colorful masterpieces that all of my friends create. Hi friends! I love this time of year and the holidays because I get to spend extra time with my family. I also keep making choices that help reduce air pollution. 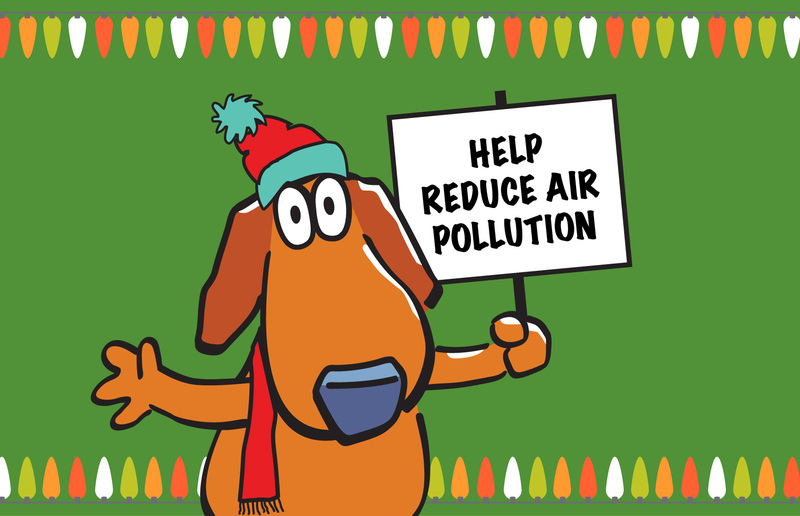 Give the gift of clean air by encouraging your friends and family to drive less. If you’re all going to a holiday party, suggest sharing a ride there! Make it a “green” holiday season by giving plants as gifts. They are a thoughtful present and they help improve our air quality. Never burn wrapping paper; it causes unhealthy air and is illegal, too! Purchase a real Christmas tree from a local farm. A real tree can be collected by your local municipality to be fully recycled. If you have a fake tree, be sure to reuse it year after year! Shop for gently used items as gifts or create something homemade using recycled materials. You will be giving a unique gift from the heart and helping to reduce air pollution. And remember: Always remind your mom or dad to check the daily burn status before they burn wood in your fireplace, fire pit or wood stove. If your family lives in Sacramento County, you always have to Check Before You Burn. This helps protect all of us from breathing bad air during the winter. You can see if it’s okay to burn by visiting www.AirQuality.org or asking your parent to download the free Sacramento Region Air Quality app. Have any questions about wood smoke or staying warm in the winter? Email me at sparetheairscooter@gmail.com! FAQ of the Month: Can my family burn wood in our fireplace? Hi friends! It’s finally December and that means cold weather is on its way. I love this time of year because I love to sit in front of my gas fireplace. 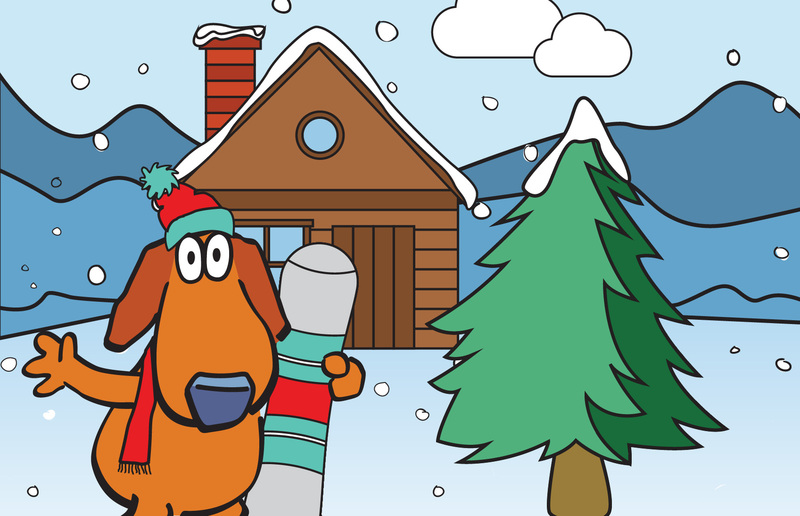 By using a gas fireplace and not burning wood, my doghouse is warm and cozy and I don’t breathe bad air! Smoke that comes from burning firewood is bad for my health—and it can be bad for you, too, especially if you’re a kid. Your lungs aren’t fully grown yet so you breathe in more air than adults and that means you breathe in more air pollution. Wood smoke contains many of the same chemicals that are in cigarettes and none of them are good for our health. It can cause us to get sick with illnesses that make us cough or hurt our throats and lungs. There are some safe ways we can stay warm while protecting our health. Blankets, sweatshirts and yummy warm drinks like hot chocolate or apple cider are just a few options! If your family is like mine and loves to use a fireplace, see if you can switch to a gas fireplace instead of using a wood burning fireplace. That way you will still get to enjoy the fire without all that yucky smoke! The Sacramento Metropolitan Air Quality Management District has a program that gives you money to change out a wood burning fireplace to something cleaner. Visit www.AirQuality.org/woodstove to find out about it. If your family lives in Sacramento County, there’s a law called Check Before You Burn that helps protect all of us from breathing bad air in the winter. 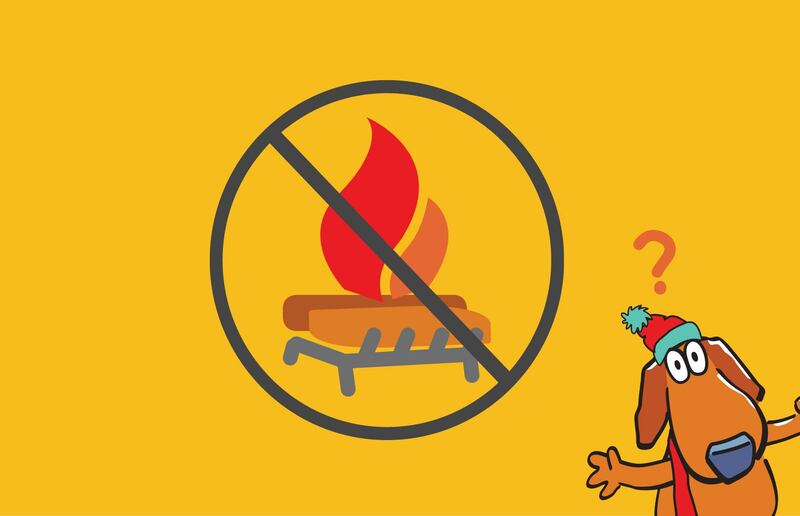 From November through February, you may not be able to burn wood in your fireplace or use your family’s backyard fire pit on certain days, so ask your mom or dad to check before lighting a fire. (If you have a gas fireplace, you can use it whenever you’d like!) You can see if it’s okay to burn by visiting www.AirQuality.org or asking your parent to download the free Sacramento Region Air Quality app.